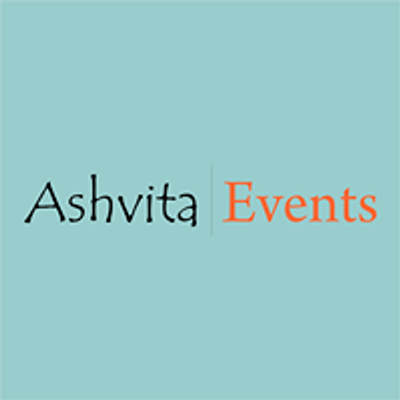 Co-optex being the popular household name in the field of handlooms brings to Ashvita, a whole new range of products that are a blend of both classical and contemporary. These products have been woven by the skilled weavers of Dindigul, Salem, Paramakudi, Manamedu and Kancheepuram Clusters. One of the common theme in these sarees has been that the motifs are worked out from geometrical patterns, in various hues and sizes. Co-optex will exhibit a new range of sarees for a three day Retail Pop-Up at Ashvita Fine Living Store in Alwarpet on the 22nd, 23rd and 24th of March! Co-optex endorsing the "fresh from farm to loom" concept has added a brand new collection of Organic Cotton Sarees to its range of Cotton Sarees. Each saree is a masterpiece, beautifully designed and coloured, light in weight, eco-friendly and cost-effective. These are further dyed naturally, and extremely skin friendly. Chettinadu Cottons woven in Karaikudi are renown for its earthy clours, body comprising coarse texture in traditional motifs of rudraksham, mango and temple borders. Koorainadu Sarees traditionally woven for brides used to be called "Koorai Pudavai". These are woven in Koorainadu near Myladuthurai and quite distinctive in their checked designs. Koorainadu Sarees is a combination of Silk Yam and Soft Mercerized Cotton, both in Warp and Weft. 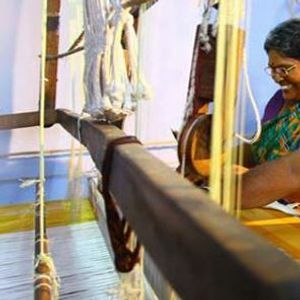 Ahimsa Silk Sarees are made from a more humane way of production by the Kancheepuram weavers where in the silks worms are allowed to break the cocoon and fly away. These sarees are woven in traditional colours and contemporary designs. Ahimsa silk would be comfortable to wear and suitable for customers who believe in non-cruelty. Kanchi Cotton Sarees is an alternative to those who do not prefer Silk Sarees. 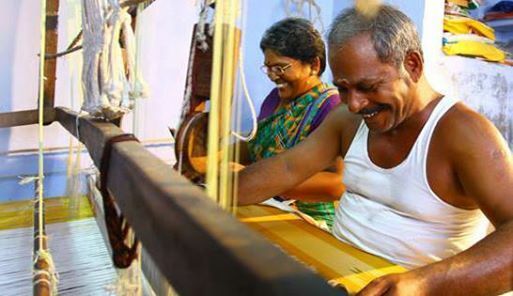 Kanchi Cotton Sarees have rich zari motifs translated into thread, woven with contrast borders and many time using the Korvai technique. The entire collection has been carefully curated and designed by Co-optex team with the help of a young and talented group of designers from NID, Ahmedabad. Dont miss this opportunity to visit and buy these masterpieces at Ashvita Fine Living Store!